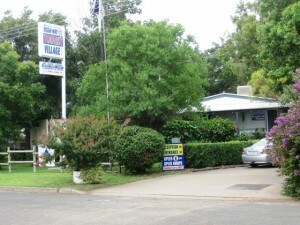 I stayed at the Narrabri Highway Tourist Village & Caravan Park on the night of 19 December 2010. I was driving from Brisbane to Melbourne via the Newell Highway. I had decided to take it easy and do the trip in three days, spending my first night at Narrabri. I had booked ahead of my trip and the reception was warm and friendly. The Narrabri Highway Tourist Village & Caravan Park was well maintained with green lawns and the amenities were clean and well kept. I was given a tent site down the back of the park. 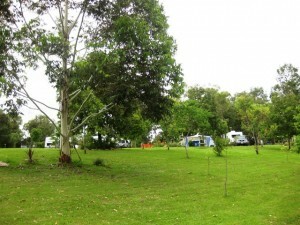 While the site was away from the noise of the highway traffic, it was also near a creek at the bottom of the park. Fortunately I did not experience any mosquitoes. The caravan park is perfect for an overnight stay while travelling, and several people pulled in towing large caravans for overnight stops. 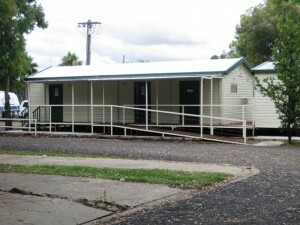 There also appeared to be a few permanent caravans on site. The review score that I have given the Narrabri Highway Tourist Village & Caravan Park is not because there is anything particularly wrong with the caravan park. In fact, it was quite a pleasant place to stay. It is just that there was nothing particularly remarkable about it — no spectacular scenic view, no great beach, nothing really. Unless you have a particular reason to be staying in Narrabri, the caravan park is great for an overnighter on the way to somewhere else. 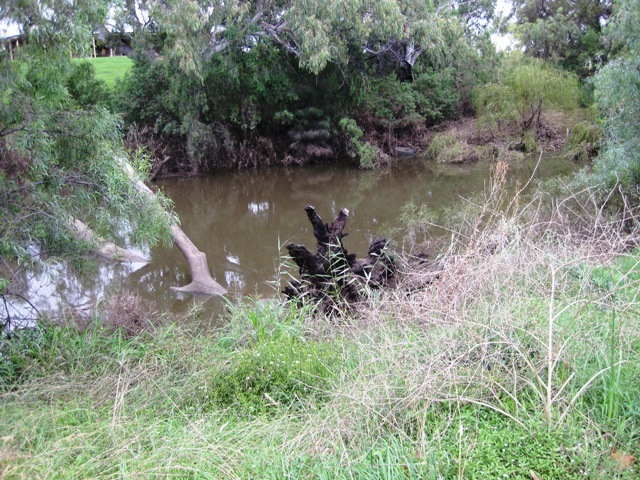 Creek at the bottom of the camping grounds — note the water mark! This article is part of my road trip from Brisbane to Tasmania and back — further stories about my road trip can be found by following the Tasmania trip tag. 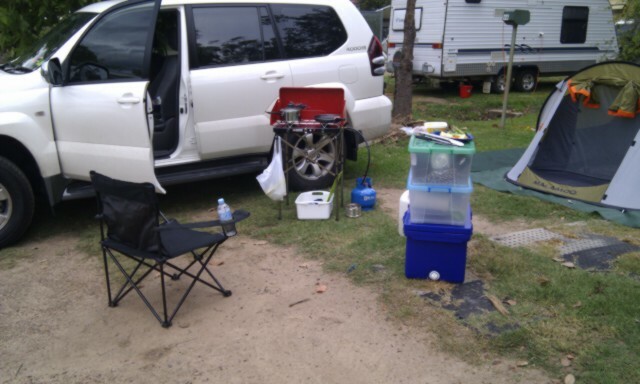 This entry was posted in Camp sites and tagged Camping, Caravan Park, Narrabri, New South Wales, Review, Tasmania Trip, Tent, Travel on 20 December 2010 by Rex.